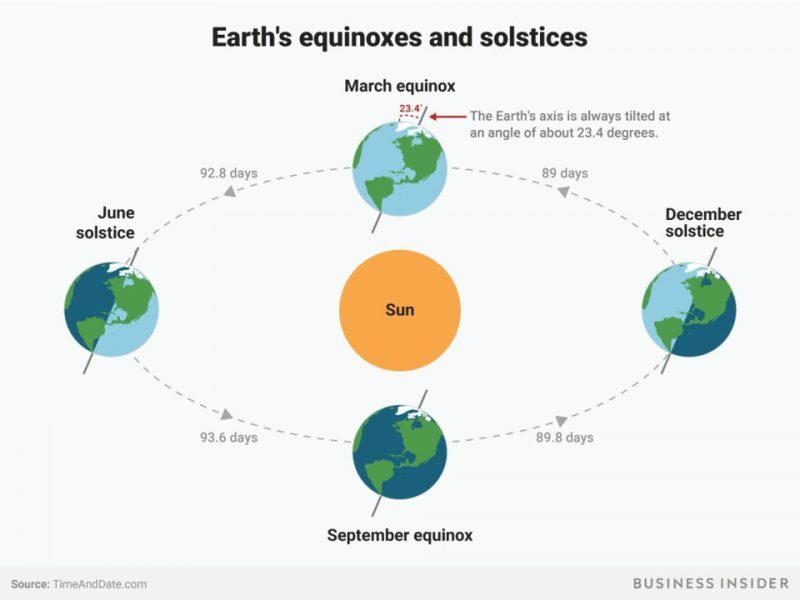 2018 spring equinox falls on Tuesday at 12:25 p.m. EST. What is this phenomenon and how it affects us? Spring equinox, or so-called ‘vernal equinox’, is an astronomical event that signals the end of winter and the beginning of warm spring. On this day, the duration of the day and night are equal, and from the next day the day starts to get longer, and the night – shorter. 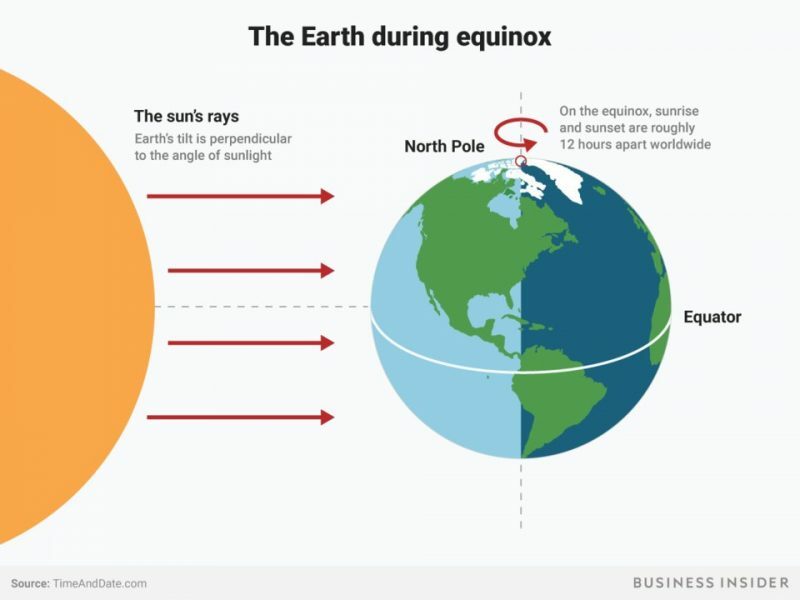 According to the world time in the northern hemisphere, the spring equinox occurs on March 20, and the autumnal equinox occurs on September 22 or 23. During the equinox, the day is almost equal to the night in every corner of the planet. On such days the sun rises exactly in the east and sets exactly in the west. The reasons why this phenomenon happens are the tilted axis of Earth and its orbit around the sun. About 93 days after the vernal equinox, the Earth reaches the summer solstice. Then, after another 93 days, the autumnal equinox takes place. Almost 90 days later, the winter solstice comes and then 89 days have to pass in order to get to the spring equinox. Northern Tropic (or Tropic of Cancer) – the southernmost latitude where the Sun can be directly overhead. The most direct sun rays touch the Tropic on the December solstice. Southern Tropic (or Tropic of Capricorn) – the opposite of the Tropic of Cancer, the northernest part of the Earth at which the Sun can be overhead. It happens during June solstice.